Discovery Aquatics - Efficiency and Excellence for Everyone » It’s not how fast you go, it’s how you go fast. It’s not how fast you go, it’s how you go fast. 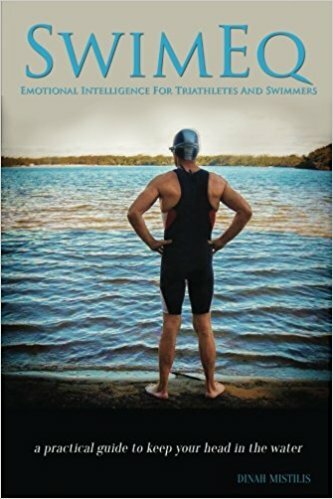 The title sums up the evening spent with Pro Triathlete Darbi Roberts of Triby3 coaching out of Brooklyn NY. She visited the Discovery Aquatics studio earlier this month where we had an informal meet and greet with some fans, followed by a swim demo. There were certainly a lot of takeaways from our time spent with Darbi. Keep it simple, be disciplined. Having a structured routine, to fit in 2 workouts a day on most days, plus maintaining a full time job and a life, is key to being successful. Plan it out, stick to it, that’s how you go fast. Be flexible and able to adapt. Sometime races come with short notice, so being able to switch gears mentally and physically to go into a race is key. Take what comes at you and work with it, that’s how you go fast. Keep your spirit alive. Love what you do, and always question why you are doing it. Take a step back at any time to evaluate your priorities. Know what you want, that’s how you go fast. Respect the rest and recovery. Don’t push through all the time, every time, as you get older. Enjoy what you are doing. Never lose sight of the passion and love for what you do. Life is too short. Look after yourself, physically and mentally. This one body is it, cherish it. Time to swim! After a warm up, I asked Darbi to swim intervals of descending pace. We began at 2:02/100 yard pace – this is an extremely low momentum pace for Darbi but interesting to see how she maintained balance and efficiency. We made pace changes every 5 minutes or so to 2:02, 1:55, 1:49, 1:43, 1:38, 1:33, 1:28 and 1:24/100 yards. As observers, I wanted us to find the stand out features of her stroke technique that allows her to swim efficiently. And as she began to gain speed, what adaptations were made to technique. We also noted what happened to her stroke rate as the pace changed. Here is a short clip of her swim at the faster end of the spectrum, followed by the top takeaways from our observations. Consistent features across all paces was the stability through her spine, the control of the angle of rotation through her torso and how precisely this angle was transitioned from edge to edge, stroke to stroke. 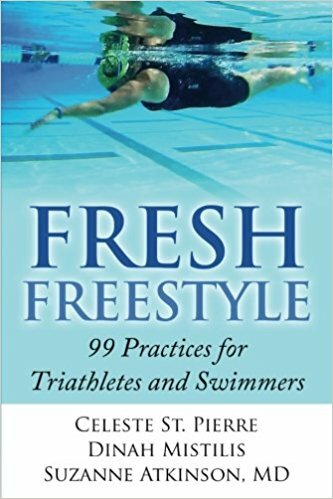 Darbi was narrow and streamlined perfectly as she swam – torso and legs aligned beautifully behind her head and she appeared to just slip forward in this space. At all paces, her head roll to air was timed with the core rotation, and was relaxed, low, and held in line with the spine. As pace quickened, her streamlined body position never waivered. Core control and stability increased – it had to, to support a faster stroke rate without disturbing the alignment of the streamline position. Her kick became more precise to flick just enough to give extra propulsion to the stroke , but not so much that legs came out of the streamline position. In fact, it appeared that the kick became smaller and more delicately timed the faster Darbi swam. Over the pace changes we measured Darbi’s stroke tempo. She started at around 1.20 and adapted to the pace changes by quickening to 0.95 seconds per stroke at the fastest pace of 1:24/100 yard – as a reference this is most likely to be about a 1:15/100 yard pool pace. Her stroke lengthened as pace increased – but stroke tempo was faster – the area of the stroke that quickened was the press (or pull) and release into recovery – it became faster but without overt extra force. Again the core control involved here, is key to enable the precisely timed and delicately balanced execution of a faster stroke tempo that remains efficient. It’s not how fast you go, it’s how you go fast. Thanks Darbi for swimming, and best wishes for a fantastic 2017 season!